Alpha & Omega Church Furniture has provided quality church furnishings and quality renovations with outstanding value for over 22 years. This legacy of excellence demonstrates our hallmark of honesty and dependable service. 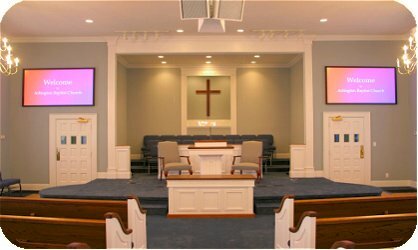 Our goal is to provide your church with superior church furnishings and accessories that make it easier for you to plan and complete your next project with quality. Alpha & Omega Church Furniture has been serving the church furnishings community with experience dated back to 1969. 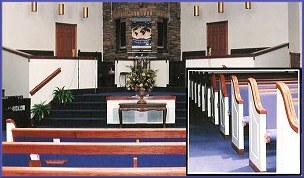 Some of the products and services we provide include, pews, pulpits, chairs, steeples, baptistries, stained glass, carpet, pew upholstering, renovations, signs, folding tables, and presentation materials. A & O is right for your church and a resource you can trust. Call us toll-free with comments or questions about our products or let us send you information by simply clicking a contact button on any page. We're ready to serve you!